Law minister Salman Khurshid, who is under attack from Arvind Kejriwal, feels ‘an ant’ cannot be a challenge to an elephant like Congress and says the activist is having a ‘pipe-dream’ of taking the space of big parties by trying to “destroy” them through allegations. He says that Kejriwal, who faces allegations like foreign funding for his NGOs, should answer these instead of only throwing mud at others. Khurshid has been attacked by Kejriwal over alleged financial improprieties in an NGO run by him and his family. In a free-wheeling interview, Khurshid strongly refutedcharges that he threatened Kejriwal on his proposed visit to Farrukhabad. “Why would I have threatened Kejriwal. What for? What would I achieve? What do you think is his stature, status and personality that I would condescend to take him on”. 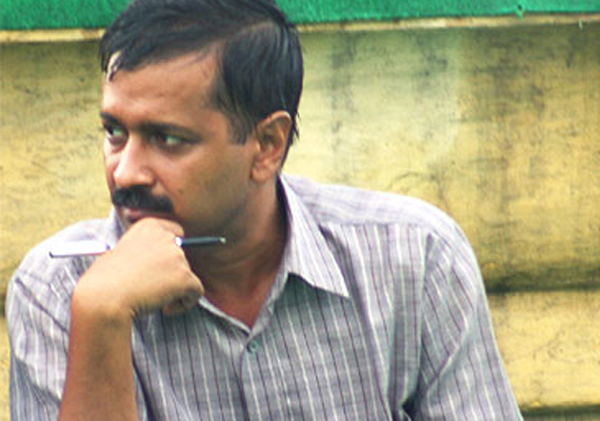 “He (Kejriwal) is too small,…pathetically small to be in confrontation with our party. An ant does not destroy an elephant…a hundred ants in an elephant trunk will not hurt an elephant,” Khurshid told PTI. To questions whether he thinks that some new entrant in politics could be a beneficiary of corruption controversies surrounding both major political parties Congress and BJP, the law minister said, “This is a pipe-dream”. “This is a pipe-dream that some people have that if they destroy everything that exists, parties that exist with a long years of history in a frenzy of unreasonable and senseless attack, those parties will disappear and the field will be clear for them. “I think this kind of ‘destroy all’, this kind of ‘let us burn everything down’ characters, believe that in the ashes will grow a new India and the ashes of that new India will the opportunities to those little groups and parties to come to power. It is a pipe dream,” Khurshid said. While he refrained from endorsing allegations of Congress leader Digvijaya Singh about foreign funding of Kejriwal’s NGO, Khurshid insisted “all these questions must be answered” and that Singh has collected “lot of good material”. “It is a strange kind of understanding that they can ask questions from anybody and expect answers from everybody but they will not answer questions put to them. Kejriwal should have answered them by now. I answered within three hours of coming back to India,” the Law Minister said. Khurshid said he knows that the “attack is not on a private businessman” but against his leadership. He also rejected suggestions that controversies over Vadra’s land deals has dented the party image. “Somebody speaks false about you because he hopes that some people will believe it and if some people believe it, it is sad and tragic. But I have full confidence that nothing will stick and nothing will dent…,” the law minister said. Suggesting that his statement was twisted out of context on daring Kejriwal to visit Farrukhabad, his parliamentary constituency, Khurshid said, “If you decide that a story cannot be made without twisting what I have said, I would say run the whole clip and let people judge”. Khurshid said what he meant to say was that when Kejriwal will go to Farrukhabad, he will return with a “response” on his allegations. The Law Minister said that by saying that he will now use his blood, he meant that will use his own blood now to write his story. “I cannot use somebody else’s blood in my pen…I don’t speak of violence and hurt. I don’t speak of degrading or demeaning someone else,” he said, adding “how can I threat?”. Asked how could a politician considered sophisticated and suave use aggressive language against Kejriwal, Khurshid said, “I am not a machine. I am a human being”. Asked if he was bitter or angry over the entire episode, Khurshid said, “Sometimes it is bitterness. Sometimes it is anger. Sometimes it is sadness. Sometimes I think it is concern, a concern not about myself alone but about the institutions that I represent….As a law minister if I cannot defend myself, how can I defend my party and my government”. Stressing that the basic issue is whether the camps were held or not, he said equipment like hearing aid, tricycle and crutches can be given only to somebody who needs even “if there is an overlap” and three persons say somebody else took their equipment. “I am confident that I will be able to come out of it but…if you hurt someone it is irretrievable. Will this damage be undone. If I prove in courts that the camps were done and the court gives me money. Is my life going to be the same before all this happened,” the law minister wondered. He sought to steer clear of a question on whether he as a law minister has evidence to suggest wrong doings by the children of former prime minister Atal Bihari Vajpayee and LK Advani as claimed by Digvijaya Singh. “I have no idea. law minister does not walk on streets saying that condemn this guy or don’t condemn that guy. If there is evidence, I have no reason to believe there is no evidence. Now if somebody claims to have evidence, they also have right and locus to bring their evidence in knowledge of any authority. Nobody stops them,” he said. Asked about Kejriwal’s attack on Nitin Gadkari, Khurshid said he cannot say anything more to BJP than saying “since now, you know the bitter taste of the medicine, will you now please review everything that you have done in the past few months”. “I do believe, whatever my colleagues would have said, that when we are talking of somebody’s business, we should talk in terms of business accountability. “Public interest should be retained only to the extent that good governance is something that is expected of all businesses but we should not interfere with somebody’s political career on the basis of accountability and good governance,” he said. The minister also frowned upon criticism over his earlier statement that he can sacrifice his life for Sonia Gandhi. “When the attack is on my leadership, I have no other moral obligation but to defend it with all my might. When I say that I want to lay down my life for my leadership, I am scoffed at, laughed and made to be a sycophant,” he rued. “When I defended Congress in media, it was said I have no business as a law minister to defend Congress party. Kejriwal said you are not the law minister of Congress but for the country. Yes, but Congress is ruling the country and I am Law Minister because of Congress. Should I not defend Congress. “So first I should not defend Congress. then I should not defend my self, then I should not defend my family, my people and my character. So I should not defend at all. I should give my head on a platter and say you can bury me, you can throw me out of politics,” the law minister said sarcastically. Asked whether the projection of Narendra Modi within BJP is a challenge to Congress, Khurshid said he does “not see Modi as a challenge at all” but added it will be a fault on his part to say BJP is not a challenge at all as two major parties in a democracy are always a challenge to each other. congress should go to masses for defending party. i remember the times when we go to listen our leaders they remained in touch with masses. now. congress is loosing its grip over masses . loyal workers are being ignored.. if congress wants to remain a big major party they have to go to masses not in media only but in every street, every home.old loyal workers, who are losing there belief in party should be gatherd and their valuable suggessions should be taken.in these days strong supporters are losing there confidence due to ghotalas. please save the party save the dream of jawaharlal neharu and gandhi ji.